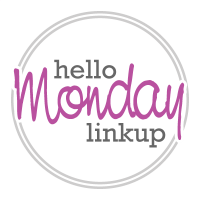 And today I'm co-hosting the first ever Hello Monday Linkup with Caryl of More Pieces of Me! Yeah!! Loving the simple yet sophisticated look. Thanks for the link up. Love this! And so glad you ended up getting the black mules! Loooove the mix print and the mules are gorgeous. Adorable outfit! But I really love that tote. :-) Thanks for the fun new linkup! Love this scarf with the striped top! The mules are perfect as well. Great styling! Cute look! Love the jeans and shoes! I adore your tee + scarf combination here! Great scarf and the pattern mixing is just perfect! Such a fab look! I love the stripes with the distressed denim! The scarf is such a great pairing and I love love those mules! Thanks for the linkup and being the new co-host! Love this look! It will be perfect for transitioning into fall too. I love when distressed jeans are reinforced! They look great with the stripe top and mules. Thank you for the link up! This is super cute! Lovin' the pattern mixing! I love your shoes, they are truly chic and go so well with the rest of the outfit. That scarf is also gorgeous. Thanks for hosting the linkup! I love those mules! They're gorgeous! I love the new linkup, fun! Great look--that scarf is fantastic. I know what you mean about the heat, we had a few cooler days last month too but lately it's been scorching out! Such a great look!! I love how the scarf has just a bit of stripe - it pairs so well with the shirt! So happy to have found your blog! This look is sophisticated and a bit edgy, I love it! 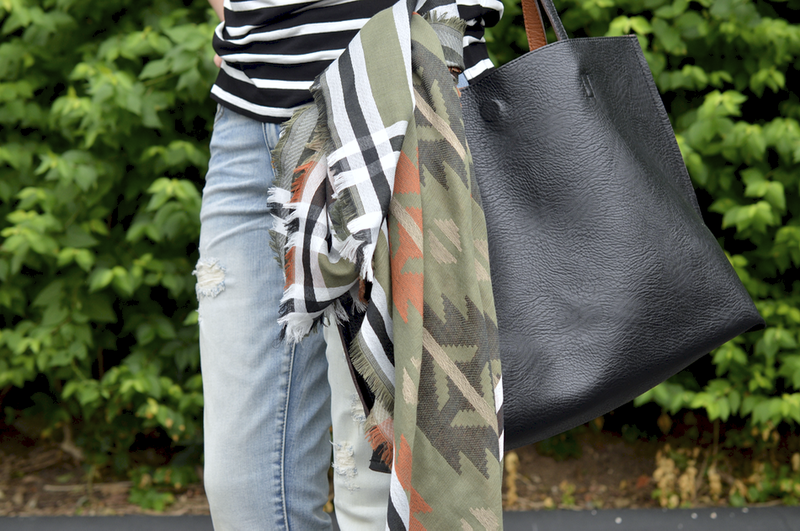 Loving your print mixing! Those mules! They are on my wish list! I can use this outfits at Optometric Services Inc.
That scarf is such a great addition to this outfit. Love the black and white stripe top. I absolutely am loving those cute black mules!